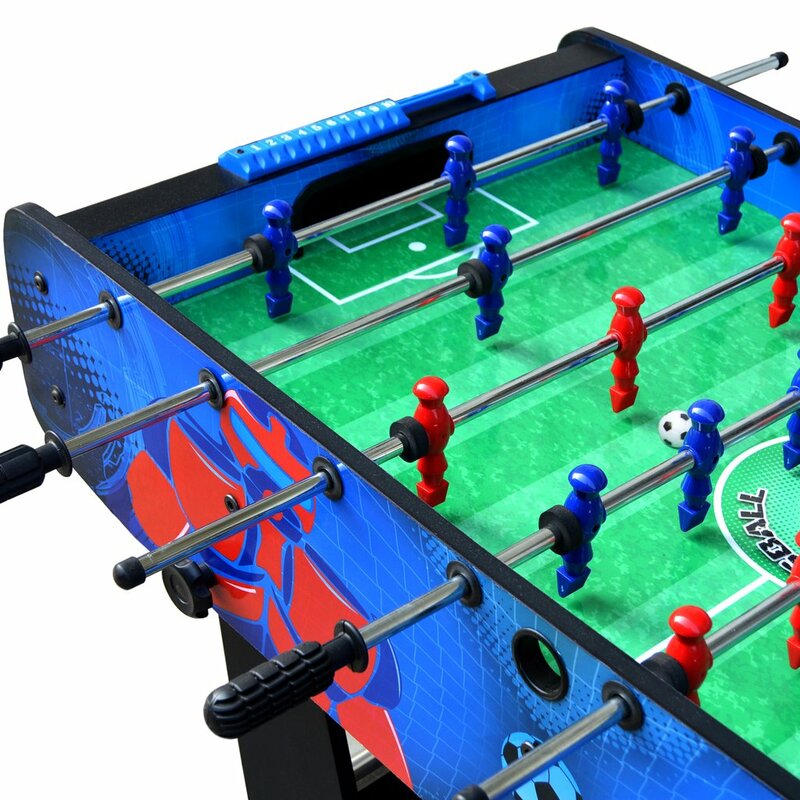 Built for players of all ages and skill levels, the Gladiator Folding Foosball table is constructed from rugged CARB certified environmentally safe materials. 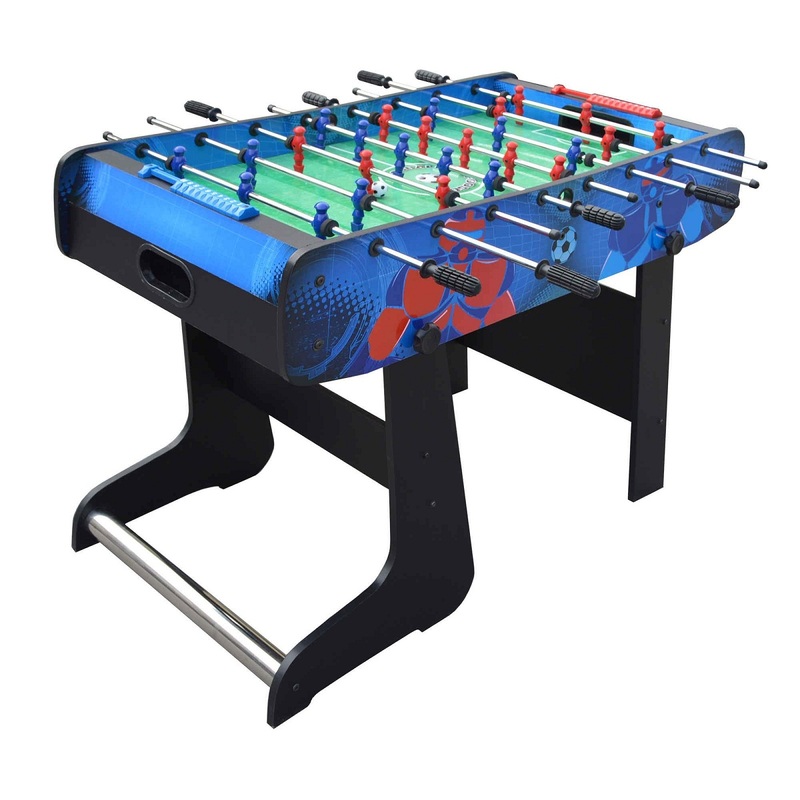 It features a unique folding leg designed for quick, easy, compact storage. 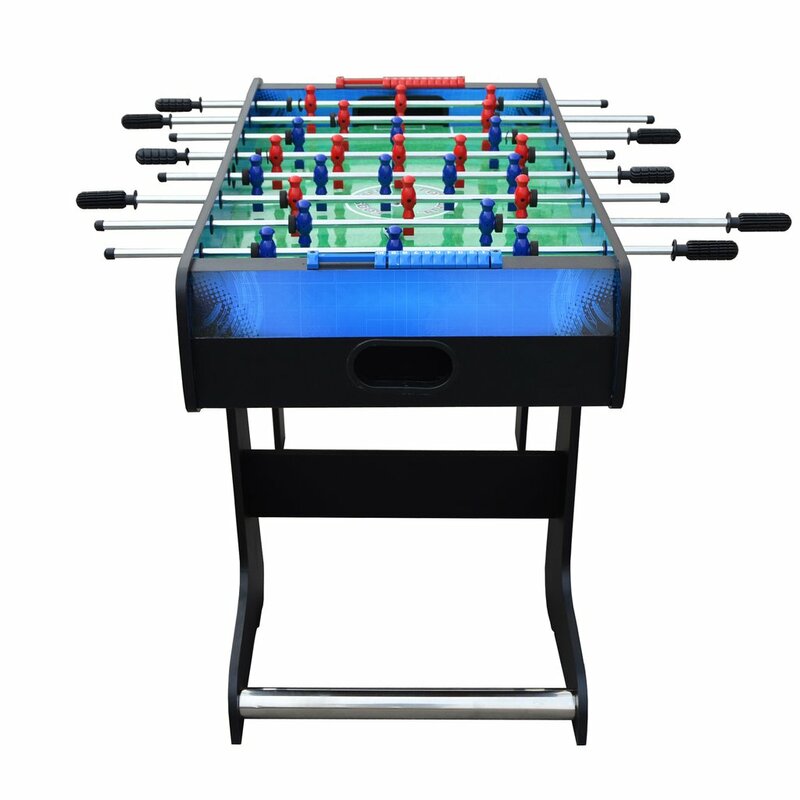 This table is packed with quality features including easy-glide, fast-action play surface, dual manual ABS slide scoring system, goal boxes with built-in automatic end ball return, 1/2-in chrome plated tubular steel rods, ergonomic handles, and ABS molded durable players. 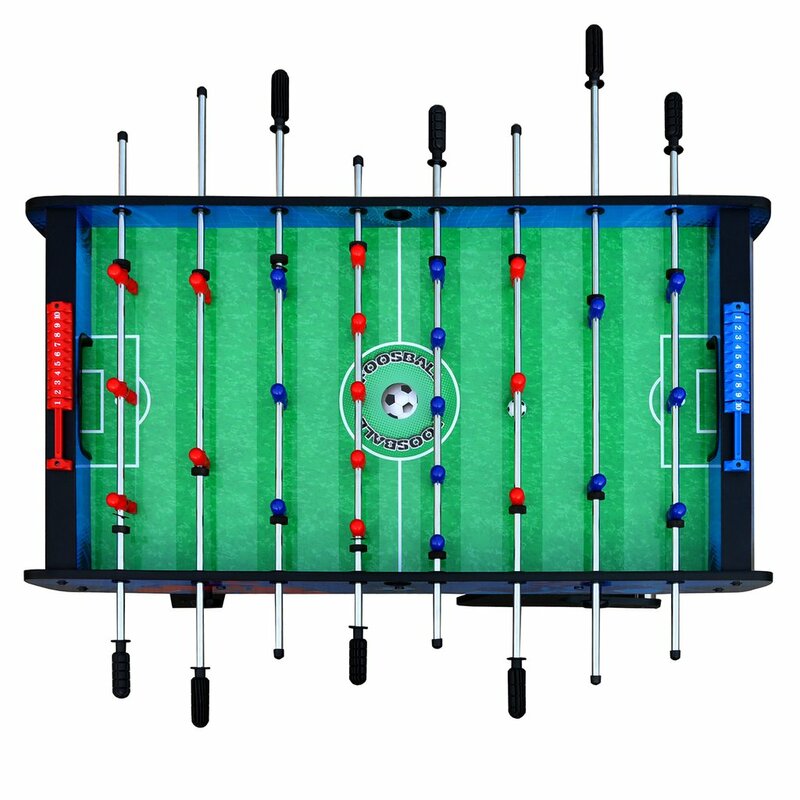 This combination of quality features delivers improved game speed while reducing wrist stress. 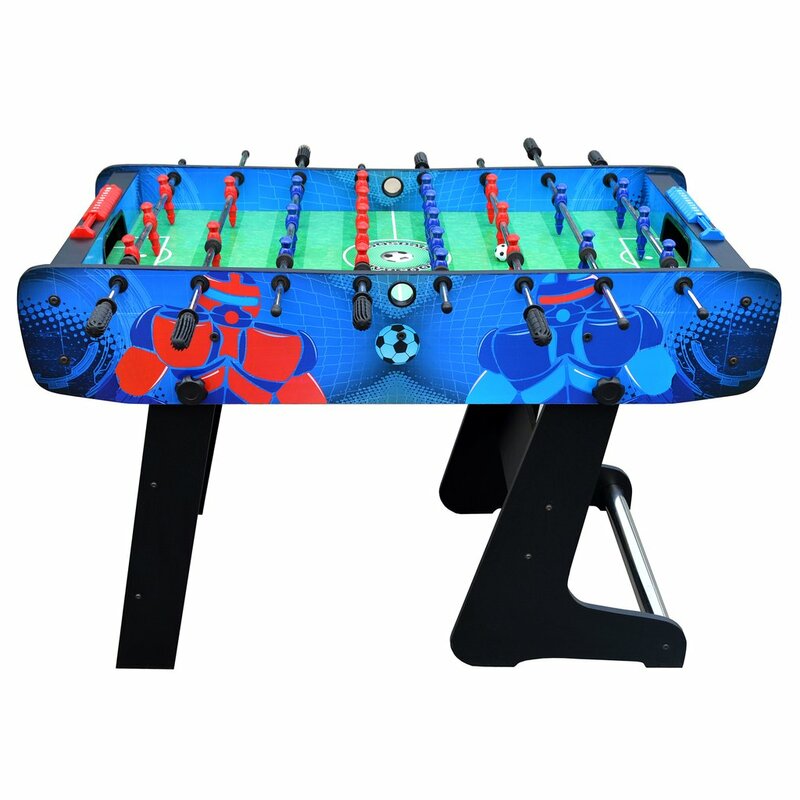 Vibrant, colorful exterior action graphics add the finishing touch to this dynamic table! 180-day limited warranty.